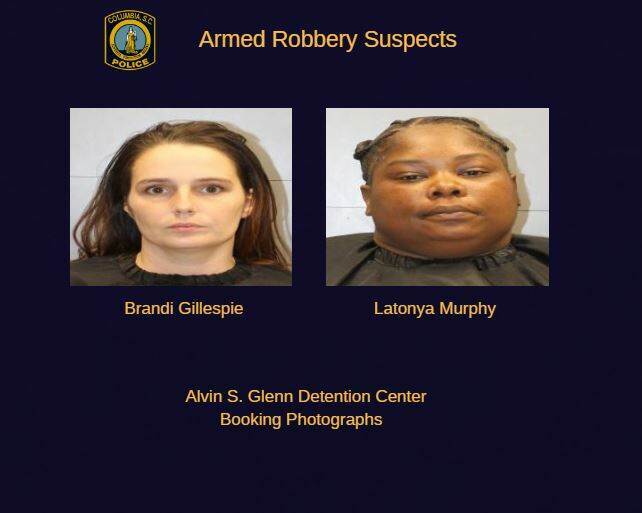 Columbia Police Department (CPD) investigators have charged two women accused of conspiring to rob a landlord at gunpoint. Officers have outstanding arrest warrants for a male co-defendant. Brandi Gillespie (DOB: March 1989) and Latonya Murphy (DOB: August 1983) are charged with Armed Robbery and Criminal Conspiracy in connection with the crime that occurred on December 10, 2018 at the Apple Valley Apartments on Apple Valley Road. It’s believed that a third co-defendant who’s been identified as Latonya Murphy’s brother, Jamaal Murphy, stole the female landlord’s cell phone, car keys, vehicle and cash at gunpoint. Investigators believe that the three suspects conspired to commit the crime. 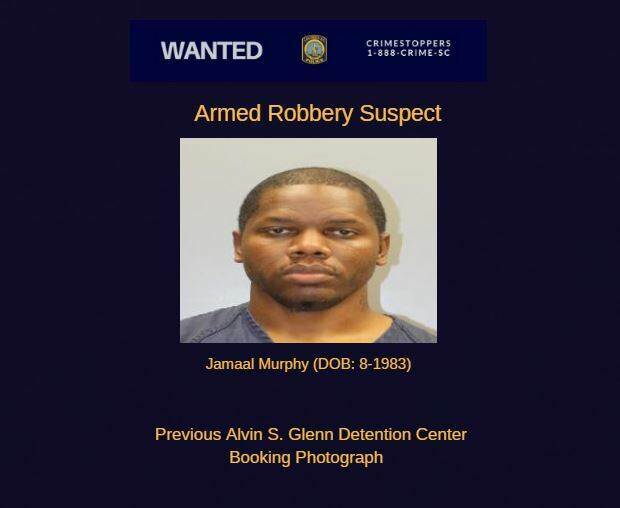 After the armed robbery, Gillespie and Latonya Murphy are accused of picking up Jamaal Murphy after he ditched the stolen vehicle. Once arrested, he’s expected to be charged with Armed Robbery, Criminal Conspiracy, Possession of a Weapon during a Violent Crime, Possession of a Weapon by a Person Convicted of a Violent Crime, and Property Crimes – Third Degree.